Here in Yankee country (no, not THOSE Yankees), bona fide Southern food is about as scarce as hen’s teeth, which is why it made sense to ask a bona fide Southerner where he gets his fried chicken-catfish-sweet tea fix (and his hen’s teeth). 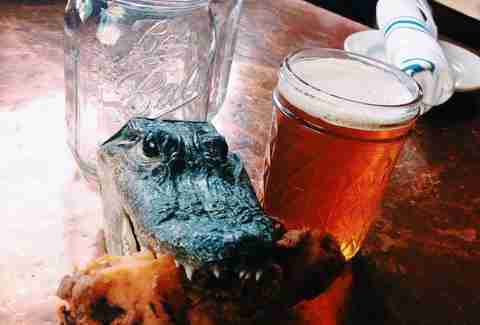 Will Horne, Thrillist Boston photographer and Alabama native, weighed in on local spots where he has found real-deal-just-like-home grub. Local fave Blue Ribbon, the smoked meat mecca, goes slow and low for major Southern street cred (or is it dirt road cred?). For Will, they just get it. "They know their BBQ and they do fixin's (read: sides) right. Black-eyed corn and ham hock. Yup. Mashed and collards? Ok. Double kudos for no sauce on the meat -- you grab it on the way out and slather appropriately. Also, sweet tea is PERFECT here." Chow down on the ample Texas beef brisket platter with your choice of two fixin's (sides, remember?) and cornbread. The Coast Cafe’s made-with-love family-style soul food (i.e. brain-melting fried chicken) is simply too legit to quit. Will asks, "Do people realize how spoiled they are to have a cooked-to-order, true-to-God, soul food fried chicken joint right in the heart of Cambridge?" Good question. Hopefully they do. "It takes 15 whole minutes from the second you call to the minute you’re chewing crispy, delicious chicken breasts -- but that’s why it’s called comfort food and not conference-call-cellphone-in-one-hand-and-burrito-in-the-other-hand food. Just relax. Eat some chicken." Bonus endorsement: this is one of only two places Will lets his Southern Momma and Southern Pops eat fried chicken in Boston. 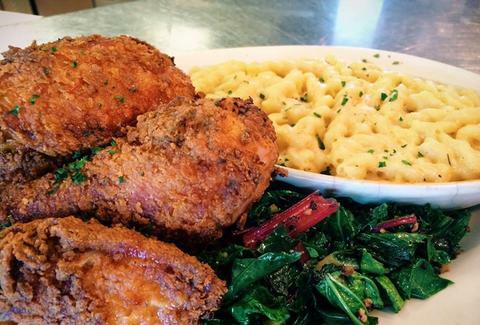 Commonwealth is the other Hub restaurant with the Horne Family Fried Chicken Seal of Approval. Commonwealth fries their birds in duck fat for extra duck-fatty awesomeness. Mmmm... duck fat. Stop by the market on Wednesdays, and take home some fried chicken (with two daily sides) for a mere $18. Fear not, it’s also on the dining room dinner menu as a starter dressed with buttermilk slaw, black garlic, and house pickles. From Carol Sue’s pimento cheese to pan-fried catfish, Tupelo is a little dollop of Mississippi right here in the Hub. Will says, "I dig this place, but since it’s in Cambridge you have to specifically request andouille sausage IN your red beans and rice, instead of the other way around. But I would order that every time." Add a side-car of collard greens and house-pickled veggies. Tupelo also pours some Southern craft brews, like Dixie Blackened Voodoo from NOLA, and Kentucky Bourbon Barrel Ale from Lexington, KY. If you haven’t made the not-so-arduous trek to Highland Kitchen, then you’re missing out. And you really, really don’t want that. Highland is all about seasonal American comfort food, such as spicy jambalaya with duck confit, or seafood gumbo -- and you should be, too. 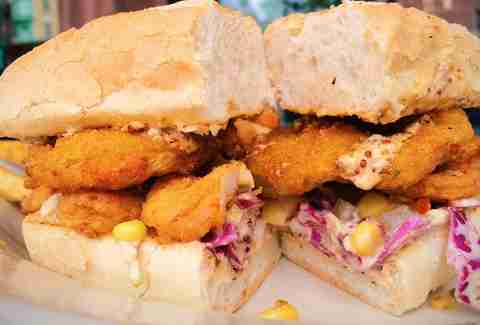 Will suggests the legit catfish po-boy with remoulade on French bread. "The 'missus and I always hit up some deviled eggs as well," he says. "No one does them better up here." 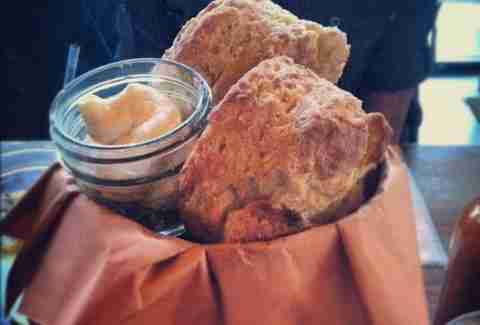 Bonus: Highland Kitchen rocks a Sunday Country Brunch with live country and bluegrass music. There's smoked pork hash in your future. Hungry (and thirsty) hordes flock to this Inman Square mainstay for their eclectic mix of stick-to-your-ribs fare and killer cocktails. 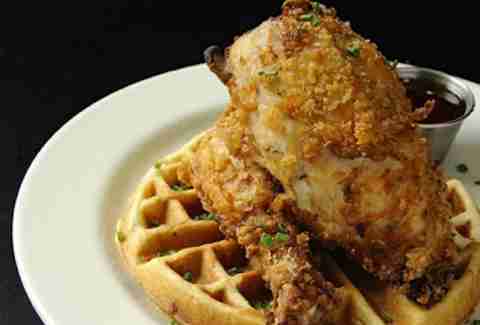 Unless you’ve been living under a rock, you know that Trina’s fried chicken and waffles are crazy-good. They’ve been featured on TV so many times, they should have their own show. According to Will, "These fine folks have delicious, inexpensive grub, and the sports bar next door has never confiscated my cowbell. FACT." More facts: you can never have enough cowbell... or enough of Trina’s fried chicken and waffles. Although Will contends that Sweet Cheeks has more Texas-style comfort food, one item in particular pleases his palate. "We’re here to talk about those motherfluffing biscuits, right? 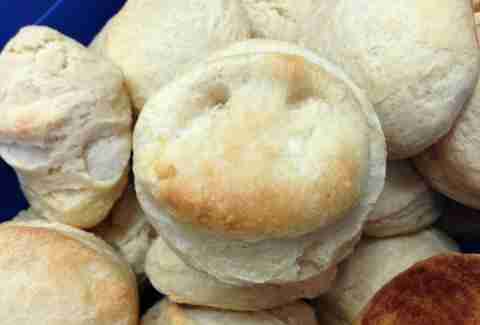 I’ve consumed a lot of biscuits in my life, but sweetbabyJesus these are the real deal. These butter-delivery systems are scientifically perfect." And they’re available by-the-bucket with house-made honey butter. 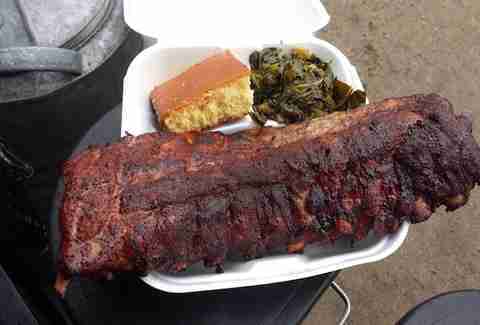 Roll up your shirt sleeves on a tray of Berkshire pork ribs, and then Zamboni that sauce with a biscuit. In addition to Will’s picks, here are some other Deep South depots worthy of your attention. If you need a po-boy (you do), Estelle’s Southern Cuisine has you covered. Hungry Mother offers chef’d-up versions of country classics, like fried green tomato parmesan. 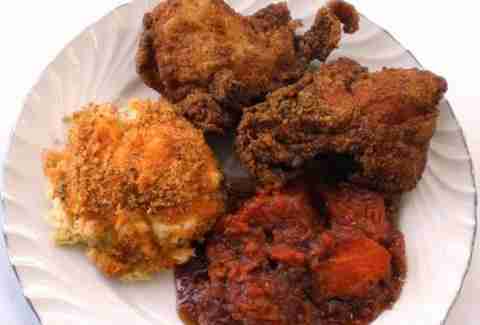 Need more delicious fried chicken?(Yes). Hit Darryl’s Corner Bar & Kitchen for Bob’s Glorified Chicken. Immediately upon arrival at Loretta’s Last Call, order Pimento & Bacon Grilled Cheese Bites. The newly retooled Rosebud American Kitchen & Bar puts on a full Southern spread, but you really need some pie a la mode (banana cream, blueberry crumble) paired with buck-a-cup coffee. Redd’s In Rozzie keeps it real with hay-roasted house-made ham (with buttermilk mashed and cracklin’) and Oma’s Pecan Pie.